British classic-rockers just can't get enough of the Lilac City. Hot on the heels of Elton John booking a gig at the Spokane Arena for the second time in less than three years, hard-rock heroes Def Leppard will do the same. They've scheduled a show for the arena on Wednesday, June 7, and will bring along Poison and Tesla for the show as well. 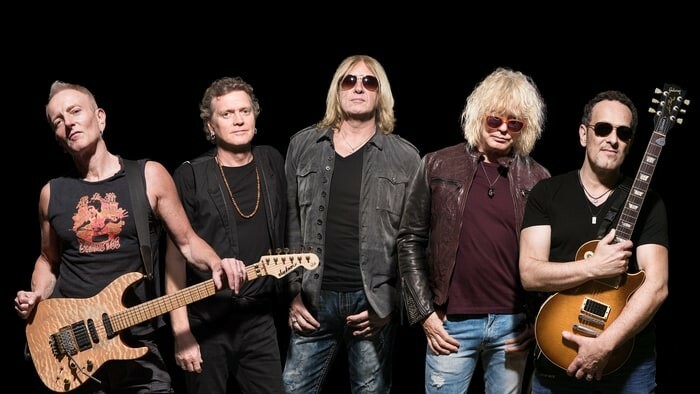 Tickets for the Def Leppard show are $29.50, $59.50, $79.50, $99.50 and $125, and will go on sale Saturday, Jan. 21, at the arena box office and at TicketsWest locations. Def Leppard visited Spokane in the fall of 2015, delivering a solid show of old favorites. Tesla was on that bill as well. The addition of Poison is noteworthy as its the band's first tour in more than five years, a pause necessitated by drummer Rikki Rockett's battle with cancer.